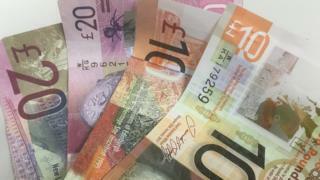 Legislation to set up a Scottish national investment bank has been published at Holyrood. The Scottish government wants to have the bank up and running by 2020, with £2bn committed for investment in Scottish businesses over 10 years. The bill now before MSPs will grant the necessary powers to set up the bank as a public limited company. Finance Secretary Derek Mackay said the bank would be "a cornerstone in Scotland's economic architecture". The bank was first announced by First Minister Nicola Sturgeon in her 2017 programme for government speech. Its main role will be to make longer-term investments in Scottish firms, over a period of 10 to 15 years. The government said ministers would be "given the power to guide its strategic direction" by "setting missions" for it to "tackle socio-economic challenges". Benny Higgins, the former chief executive of Tesco Bank who advises the Scottish government on its plans, said the legislation was "another important milestone" in the process. He said: "The bank will play a critical role in ensuring that the Scottish economy is structurally fit for thriving in the 21st century." And CBI Scotland director Tracy Black said the move was good news for the Scottish economy, adding: "If used effectively, the Scottish national investment bank could have a transformative impact by encouraging the greater patient capital investment needed to support infrastructure development in the long-term and catalyse private sector investment."